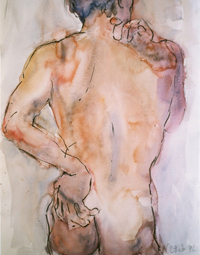 A gallery featuring oil portraits of men and women, young and old, in a variety of styles. From the relaxed head and shoulders to the more formal full length. 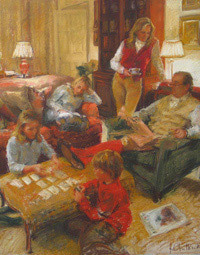 Large scale oil portraits of family groups, capturing the family dynamics in a relaxed, uncontrived and informal way. 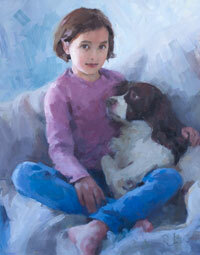 A selection of pastel and oil portraits of children from 4 to 17 year olds. All shapes and sizes. 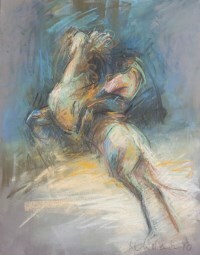 Pastel head and shoulder drawings to full length oil paintings. 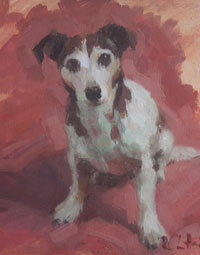 Visit this gallery to see a selection of commissioned oil and pastel portraits of dogs and horses. Rosanna enjoys the variety involved with painting different types of portrait. Changing subject matter, media and scale keeps the energy flowing. Each format brings its own challenges. 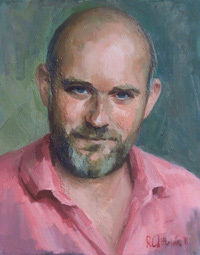 Whether capturing the freshness of a child’s face in pastel whilst avoiding the ‘chocolate box’; painting a portrait of a young person on the cusp of adulthood or a portrait of a man or woman with decades of life experience; whether representing the family dynamics in a large scale group portrait or portraying the real person behind the businessman in a corporate portrait; or capturing the essence of much loved horse or dog in an animal portrait, the artist tries to let the subject matter dictate the style rather than impose her style on the subject. 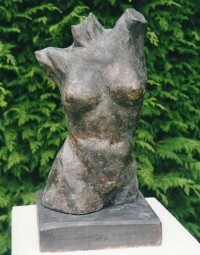 While a lot of Rosanna’s portrait commissions come from the West Country – Somerset, Devon, Cornwall, Dorset, Hampshire, Wiltshire, Surrey, many come from further afield – London, Shropshire, Suffolk, Sussex, Essex, Oxfordshire, Gloucestershire, Warwickshire and London, and some venture from all four corners of the UK. 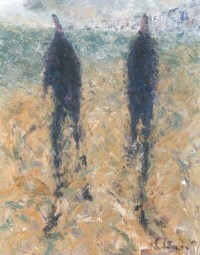 To see some of this English artist’s portrait commissions please wander through the portrait galleries. And if you are interested in commissioning a portrait by this portrait artist please contact her here with any queries you might have.